An inherited house can be a tremendous gift or a demanding inconvenience. It can be a complicated issue after you are gifted a home of a deceased loved one in. 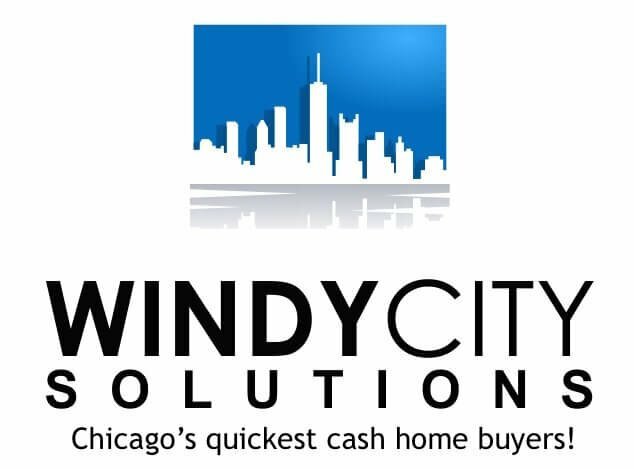 At Windy City Solutions, we help to take away some of that stress since we deal with people who sell Chicago probate houses they inherited all the time. We have a team including our lawyers who can help navigate the waters of this situation and liquify the assets quickly and cleanly. We’ve had situations where the probate process can be expedited or passed altogether if the title company will insure over the property. Don’t worry about paying bills or taxes. We can handle everything. More information on how to sell an inherited house Chicago with siblings and the probate process. Click Here. The sale of a property could take anywhere form 6 months to a year when a property is sold with a real estate agent and the end-buyer purchases the house with bank financing. Appraisals are needed, inspections, dozens of potential buyers filing in and out. None of that happens with us. Since this is a tough time for you, we understand this and don’t require you to clean anything out. We take care of the entire property and buy it ‘as is’ so you don’t have to worry about all the hassles of making it look good. In order to avoid the probate process there are a few steps that would have been put in place prior to the death. Go to your county assessor’s site and make sure the property is clean without any liens or back taxes: Cook County Assessor site. From there you will have to pay a nominal fee to have them send you the information on your property. Expect about $10-15. After that, fill out the transfer on death instrument for your particular county: Link for Cook County’s. Get this form notarized (free at most banks) and register it at the recorder of deeds. Expect to pay another $50 for this. Final step when your loved one passes away is to fill out the Notice of Death Affidavit: Cook County’s. Once all of that is done, you bring the death certificate, the legal description (usually a very long and technical way of identifying your property) and get it notarized. Get the items notarized at the recorder of deeds that you filed the transfer of death instrument at. And at this point you will own the property. If you want to sell your inherited property fast in an all-cash sale, give us a call or fill out our quick form and we’d love to talk to you more about the situation. Anyone wondering, ‘How to sell inherited house Chicago’ or ‘How do I sell an inherited house with siblings in Chicago‘, we also work in the suburbs. If you want to sell your house fast, some of our favorite cities to work in are Joliet, Aurora, Naperville, Orland Park, Oak Forest, Tinley Park, Plainfield, Romeoville, Oak Lawn, Bolingbrook and Cicero. Focusing mostly in the south and west suburbs, we buy houses quick for cash also in Elgin, Cicero, Oak Park, Downers Grove, Elmhurst, Lombard, Streamwood, Park Ridge, Calumet City, Addison, Glendale Heights, Chicago Heights, Burbank, Lansing, Harvey, Elmwood Park, Lockport, Westmont, New Lenox, Homer Glen, Maywood, Blue Island, Dolton, South Holland, Park Forest, Crest Hill, Homewood, Alsip, Matteson, Brookfield, Mokena, Hinsdale, Westchester, Country Club Hills, Bridgeview, Midlothian, Hickory Hills, Hazelcrest, Richton Park, Crestwood,Arlington Heights, Schaumburg, Palatine, Des Plaines and Wheaton.